The Goldin Institute invites you to learn about each of our Chicago Peace Fellows representing 14 neighborhoods across the city as they join together and establish a community of practice determined to promote peace across the city! Velvian Boswell (West Englewood) is a Recovery Specialist for the Chicago Women's AIDS Project. For almost a decade, Velvian Boswell has practiced peer counseling, preventative care and recovery coaching, consistently managing and recruiting an annual client base of over 80 participants. After years of her own struggles with substance abuse, Velvian turned her life around, earning her Recovery Coach Certification from Governor State University in 2014. Born in Hollandale, MS, Velvian arrived to Chicago’s Bronzeville neighborhood at the age of 3. She is passionate about serving her clients and being a voice for her community. Ken Butler (North Lawndale) serves as the Executive Director of the Major Adams Center based in North Lawndale. 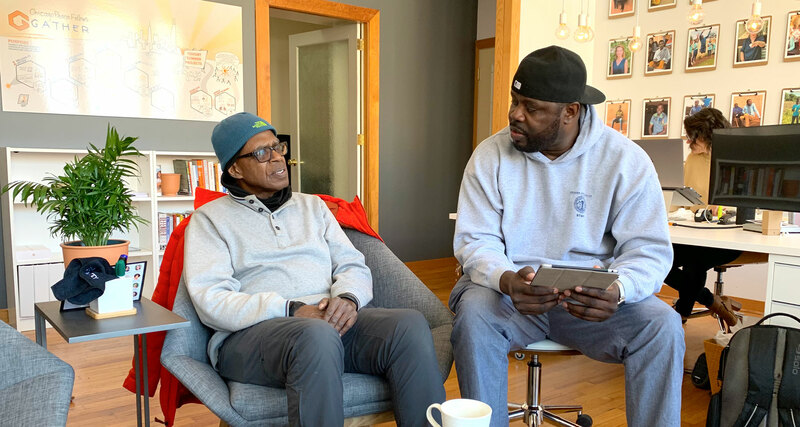 Ken has been involved with the Center his entire life, working with James Adams since he was a child and is now carrying on with the work that Mr. Adams inspired him to do with many others in this Chicago community. “I work hard to engage others in finding community based solutions for community based issues." Pamela Butts (New City) holds a Bachelor of Science degree in Business Management and a Master of Arts degree in Education, Counseling and Human Services / Human Resource Development from Roosevelt University. Pamela is the Director of Non- Public Programs for Chicago Public Schools. Her job is to monitor all the federal funds for program services under Every Student Succeeds Act (ESSA) for the elementary and high schools in Chicago, Illinois which includes Catholic, Christian, Independent, Islamic, Jewish, Lutheran schools and Neglected residential sites. Pamela has also served on the Community Development Advisory Council for the city of Chicago since April 2017. Pamela is very active in community service and outreach. She has been a member of New Eclipse Church since age twelve. Pamela also has served as director of New Eclipse Community Alliance 501c3 community outreach agency since 2013. Pamela is a true professional, visionary, motivator and team player with exceptional leadership, relationship building, communication and interpersonal skills. She is the oldest of seven children. Pamela is a proud and dedicated wife and mother. Pamela is a true advocate and encourager for all youth, the elderly and veterans; especially for those who seem to have “no voice,” the underrepresented and underserved. Robin Cline (Humboldt Park) currently serves as Assistant Director of NeighborSpace, an urban land trust in Chicago. Robin’s leadership is multifaceted, involving neighborhood agency, creative stewardship, and program design. She supports community leaders throughout Chicago in developing, managing, and sustaining community land sites, with a special focus on community nature play and public program projects. 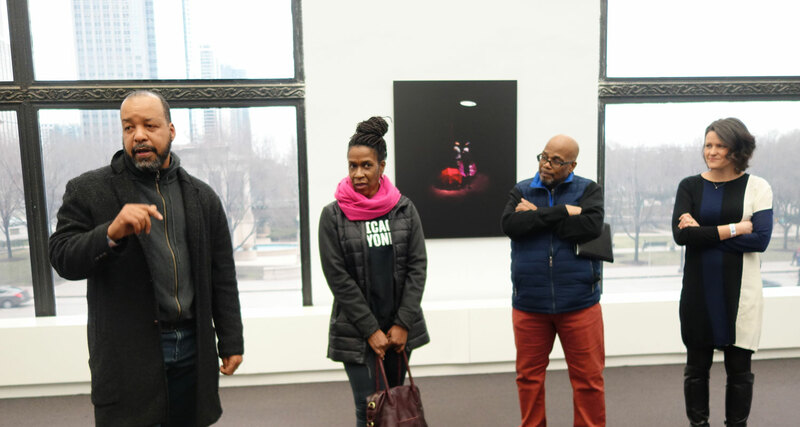 Robin is also the part-time executive director for the art group OperaMatic, a site-specific artist group that activates public spaces in Humboldt Park and Hermosa with playful, collaborative, and civic performances. In both her current roles, Robin advances community cohesion through creative effort and social play. Jeanette Coleman (South Shore) serves as the Director of I AM MY BROTHER’S KEEPER UNITY DAY, a not for profit community outreach program dedicated to making a difference in the lives of youth in the South Shore and surrounding communities of Chicago, IL. Mrs. Coleman has a history of over 20 years at the University of Illinois at Chicago. She joined the administrative staff of campus housing in 1990 and was instrumental in developing the family housing program, along with providing conflict resolution for students adjusting to living with people different from themselves. After counseling several residents encountering traumatic incidents including suicide, Mrs. Coleman was led to pursue a degree in Social Work where she could be more resourceful. Mrs. Coleman has a passion for working with youth and has utilized her administrative and crisis management skills with the youth in the South Shore community. Lisa D. Daniels (Woodlawn) serves as Executive Director and Founder of the Darren B. Easterling Center for Restorative Practices. Lisa believes firmly that is our humanity that connects us— one to another. Since the tragic murder of her youngest son Darren in July 2012—as a result of an incident where he was both perpetrator and victim—Lisa has become a staunch advocate in the field of restorative practice and lives life guided by the principle that no one is the sum total of the worst thing they’ve ever done or experienced. "My greatest strength as a community leader is my capacity to see and connect with the humanity in those we serve". Dawn Hodges (South Chicago) loves life and tries to enjoy every moment of it. She is graduates from DePaul University March 2019 with bachelor’s degree in Nonprofit Management. Dawn has been a church secretary for over 15 years, and recently became the Executive Director of Imani Community Development Corporation. There the team primarily focuses on mentoring, out-of-school time programming, and food distribution. The Imani Community Development Corporation has been a pillar in the community for over 40 years. They host block club meetings and well as other events needed by the community; they love serving and helping others. Sokoni Karanja (Washington Park) recently stepped down from his role as President and CEO of the Center for New Horizons to begin a new endeavor as President of 2016 MA’AT. He has founded this new organization with the belief that people who better know and understand each other are less likely to become violent towards each other. 2016 MA’AT then, will focus on the moderation and eventual elimination of violence by forging and strengthening unity in Chicago’s neighborhoods of color. Its mission, in a word, is “peace.” Dr. Karanja is married to Loyola University professor Ayana Karanja, Ph.D. and is the father of seven. A native of Topeka, Kansas, Dr. Karanja, in his formative years, was witness to the grassroots strategy meeting that led to Brown vs.the Board of Education, and began his first organizing experience by galvanizingsupport for desegregating his neighborhood movie theater. Dr. Karanja holds three master’s degrees (psychology, social work, and community development), and earned his Ph.D. in urban planning from Brandeis University. Diane Latiker (Roseland) is a 30 year resident of the Roseland community on the far south side of Chicago. "Ms. Diane" founded the award winning and internationally recognized organization Kids Off The Block, Inc. (KOB) in her home in July of 2003. Ms. Diane was given this vision through her mother, Evangelist Ruth Jackson. Ms. Jackson, saw that the youth in the neighborhood liked and respected her daughter. Looking at the children that were always at her home, Ms. Diane saw health professionals, doctors, lawyers, professional musicians, professional sports figures, politicians, and actresses, and the list goes on. Ms. Diane believed that she could make a difference in the community, and in the many youth that she came in contact with daily. 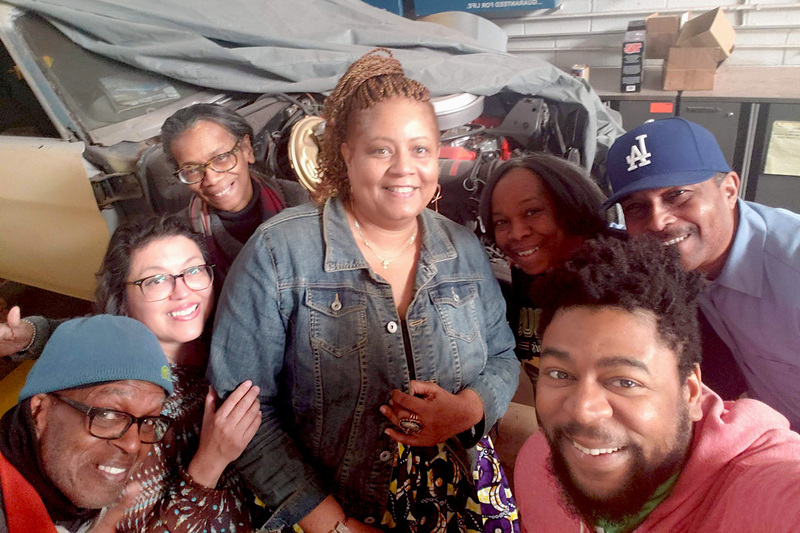 She became encouraged and opened up her home to get these young people off the streets and involved in programs that would benefit them for the rest of their lives. KOB started out with ten neighborhood kids, and now has impacted thousands of lives through love, compassion, nurturing and respect. Frank Latin (Austin) is the founder and Executive Director of Westside Media Project. He also formerly published Nitty Gritty News, a community newspaper highlighting marginalized communities across Chicago. Latin is a graduate of Roosevelt University where he obtained both his Bachelors and Masters degree in economics. "The biggest opportunity in our communities have right now is the ability to use technology and social media to create our own stories and share our own narratives." Adi Lerner (East Garfield Park) is a Human Rights Attorney from Israel, who has spent her career supporting and working with communities as an organizer, educator, and advocate. Currently, Adi is the Director of Programs at the Westside Justice Center, where she leads a team developing an innovative model for community based legal support and holistic approach to justice. During law school, Adi led a Crisis Intervention Center at the Hotline for Refugees and Migrants, a non-partisan non-profit organization, dedicated to promoting the rights of undocumented migrants and refugees, and eliminate trafficking in persons in Israel. Working as an attorney in Israel, Adi represented clients in a variety of cases, including Immigration law, state accountability for torture, criminal justice and prisoners’ rights. Adi received her LL.B from Tel Aviv University, and a Master of Laws in International Human Rights from Northwestern University School of Law. Alex Levesque (Back of the Yards) is the CEO and founder of the Automotive Mentoring Group (AMG), a nonprofit that is designed to be proactive against gun violence andgang violence in Chicago. AMG works throughout the city in the number of neighborhoods and is designed to halt Chicago gang violence, send the participants back to school to get their high school diploma, and ultimately get them enrolled in colleges that have Automotive programs. AMG also works with more than 51 hiring partners to match participants with good automotive jobs. "We work hard provide a very safe and productive environment for young people to work and learn during the summer when gun violence is at its height in Chicago." Jacquelyn Moore (Auburn Gresham) left a 25+ year corporate career in systems software for the finance industry with the knowledge that technology can remove or provide obstacles, as people often fear that which they don’t know, and the persistent application of skills can benefit both areas. In 2002, determined to improve the trajectory of the youth in her community, she began offering free technology instruction that focused on how to apply it to improve the learner and the community. Jacquelyn founded Chicago’s first community high school robotics team (Chicago Knights), America’s first free, public facing makerspace for teens (LevelUP IRL), and the annual Chicago Southside Maker Faire. As a wife, mother of four, grandmother of seven, and person of faith, she values family, community, and service. Jacquelyn is proud to be called "Robotics Lady" and continue to serve Chicago’s youth. Johnny Payton (West Town) is from Cabrini-Green and went to school in the Green’s Sojourner Truth as well as Frederick Von Schiller in Lincoln Park. He watched the place that he called home -- once considered “The Worst Neighborhood in the USA” -- become the best neighborhood in Chicago. Now, CHICAGO is considered “The Worst City in the world.” Johnny believes that together with a few other like minded citizens, they can change people perspective about Chicagoans and Chicago. Johnny Payton is a founding member of Brothers Standing Together (BST), a federally recognized 501(c)(3) non-profit organization that was founded in 2009 to help decrease neighborhood violence in an effort to contribute to a safe environment for children and families beginning with serving our youth. BST mentors teens about the value of education and that violence is not the answer. As a result, a desire to help others avoid his mistake arose and BST was born. BST’s vision is to see a complete cessation in violence and all people living happy, healthy, and whole lives. Pamela Pheonix (Englewood) is a United States Army Reserve Veteran who served from 1985- 1993. She earned a Doctor of Natural Health Degree from Clayton College of Natural Health in Birmingham Alabama on June 23, 2006. She holds a Master of Arts degree in Human Services Administration from Spertus College of Jewish Studies and a Bachelor of Science Degree in Business Administration from Kentucky State University. She has over 25 years of Natural Health experience as a Holistic Consultant with community - based agencies and Chicago Public & Charter Schools. Her work includes Reiki, Mental health therapy, chakra balancing, yoga, social emotional learning and stress reduction. She has specific interest in emotional health for the whole family. 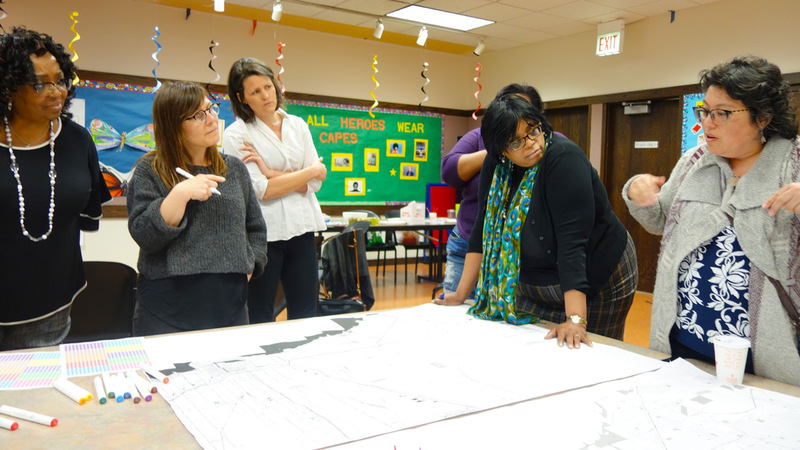 Gloria Smith (Bronzeville) is an educator, administrator and dedicated community organizer. She has worked for over three decades with a variety of grassroots community initiatives – with a special focus on youth and families, social justice, and preparing students of color for college and professional education. Ms. Smith is currently executive director of The Black Star Project in Chicago -- an organization founded in 1996 by Phillip Jackson to close the racial academic achievement gap and to advocate for those in disadvantaged communities. In her work with The Black Star Project, Ms. Smith has coordinated a range of events and activities including public policy forums on economic empowerment and participatory democracy. Ms. Smith has also worked with The DePaul University College of Law, the Chicago Kent College of Law, the Iliff School of Theology as well as other educational and community organizations. In her earlier career, Ms. Smith was Associate Director of Regulatory and Public Policy before retiring from SBC- Ameritech Corporation in 1999. Jamila Trimuel (Bronzeville) is the Founder of Ladies of Virtue, an award-winning mentoring and leadership program that has empowered over 1,000 girls, ages 9 to 18, to become confident and purpose-driven leaders. Jamila started her career in strategic planning at Northwestern Medicine and has over ten years of experience in strategic planning and community engagement. Jamila is a Steering Committee member for the Greater Bronzeville Neighborhood Workforce Development committee. Jamila is also a member of the Founding Steering Committee for the IL Council of Women and Girls which was just signed into law. Jamila is the co-author of “A Status Report on Teen Girls in Chicago” produced by the Coalition of Urban Girls. Jamila is also the Co-Chair for the Status of Women and Girls Working Group led by City Clerk Anna Valencia. Most recently, Jamila gave her TEDx Talk at Rush University entitled, “Make Today Your Saturday: Live A Fulfilled Life of Purpose.” Jamila has a Bachelor of Science in Community Health from the University of Illinois Urbana- Champaign and a Master of Science in Health Systems Management from Rush University. She also holds a Master of Education in Educational Leadership from The Broad Center for Management of School Systems. Maria Velazquez (Little Village) is passionate about creating awareness and action on bringing humanity back to this country and is committed to social change. As a Mexican woman rooted to strong moral values she advocates for equal rights for every human being especially youth and women in society. As a woman she feels very strongly about being respected and acknowledge as a person with her own opinions, needs, views, and ways of doing things. Culture is very important to her and she tries to always go back to her roots and think about her ancestors who have inspired her to keep doing what is right and what she is passionate about. Telpochcalli Community Education Project has been the perfect space for the acknowledgment and respect people need for their humanity to flourish. Expressing our dreams, our needs, and our ideas and having that opportunity and support to take action makes community projects a reality. At TCEP we face and address many challenges collectively and creatively developing supports systems to be able to build peace and understanding. As people become aware and acknowledge the power they have inside of them, community organizing projects arise, and change takes place. The Chicago Peace Fellows project will connect and equip a select group of past grantees of the Chicago Fund for Safe and Peaceful Communities to reduce violence and promote peace. Chicago Peace Fellows will be the first all-Chicago cohort to utilize the GATHER platform, an online learning hub built by the Goldin Institute to empower grassroots leaders. as group projects, culminating in a graduation event in October, 2019. The curriculum has been designed in collaboration with the grantees themselves, based on their practical knowledge and hard earned wisdom, with input from a wide range of civic leaders. Fellows will reflect on their past summer work, identify successes and lessons learned, and improve their abilities by sharing strengths and learning new skills. The Goldin Institute and the Partnership for Safe and Peaceful Communities have aligned missions that value authentic community leadership. The Chicago Fund is uniquely effective at finding motivated problem-solvers and community-builders. By connecting Chicago leaders through GATHER, their efforts to nurture safer and more peaceful communities will be more effective, interconnected and lasting. A special thanks to the Conant Family Foundation, JP Morgan Chase, the Polk Bros. Foundation, and the Partnership for Safe and Peaceful Communities for making this program possible.